The Alamo Bowl announced on Sunday that the two teams it would be selecting for its 2018 bowl matchup would be Iowa State and the PAC 12’s Washington State Cougars. We dove into some numbers and dug up eight of the most important things to know about, “Wazzou.” Some are serious. Some… not so much. In 2003, when GameDay visited Austin, Texas, Wazzu fans had the idea to bring a flag to the broadcast to encourage the program to travel to Pullman – home of the Cougars – for a game. So naturally (or not), an Albuquerque, N.M. native by the name of Tom Pounds drove a flag all the way from his home to Austin and flew it proudly on the air during the Oct. 4 episode. Though the flag didn’t immediately convince ESPN to make the trip to Pullman, it might have sparked one of the greatest traditions in college football. Week after week, a Cougar flag showed up on the telecast for 15 years… that is until this October, when the show finally made its first trip to the school. Cyclone fans should know this name well. In 1978, Jim Walden was promoted from backfield assistant to head coach of the Cougars. Three years later, Walden led Washington State to an 8-3-1 record and a spot in the 1981 Holiday Bowl. It was the first time Washington State had qualified for a bowl game in 51 seasons. Following the 1986 season, Walden departed Pullman for Ames, becoming the 29th head football coach at Iowa State. Walden coached the Cyclones for eight years and was known for his infamous big mouth. He eventually finished his career in Ames with a 28-57-3 record. 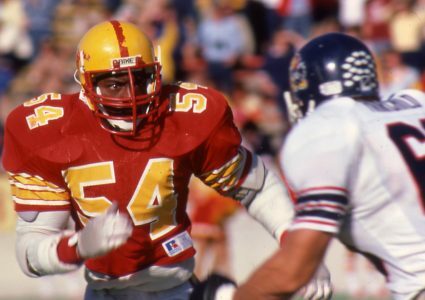 Though he didn’t find much success at Iowa State, Walden did recruit Troy Davis, who rushed for back-to-back 2,000 yard seasons and nearly won a Heisman. Iowa State fans have Busch Light. Washington State fans have Cougar-Gold cheese. The on-campus creamery in Pullman sells a unique style of cheese branded with the Washington State Cougar. Aside from online orders, the cheese is only available for sale in Pullman and is ordered as a holiday gift by many across the country. The creamery actually makes $5.5 million off of Cougar-Gold cheese each year and can ship out over 8,000 boxes on any given week. Just like the Cyclones, the Cougar football team is full of young talent. Washington State took the field this season with 10 players making their first career starts for the team in the first game of the season against Wyoming. Between then and now, three more players made their first career starts for the team and a total of 27 had made their debuts for the Cougars this year. Washington State is known to air the ball out year after year and attack teams with an aggressive air raid offense that spreads the ball around. This season, that has definitely been the case. With East Carolina graduate transfer Gardner Minshaw leading the offense, the Cougars have had one of the most successful passing offenses in the nation. 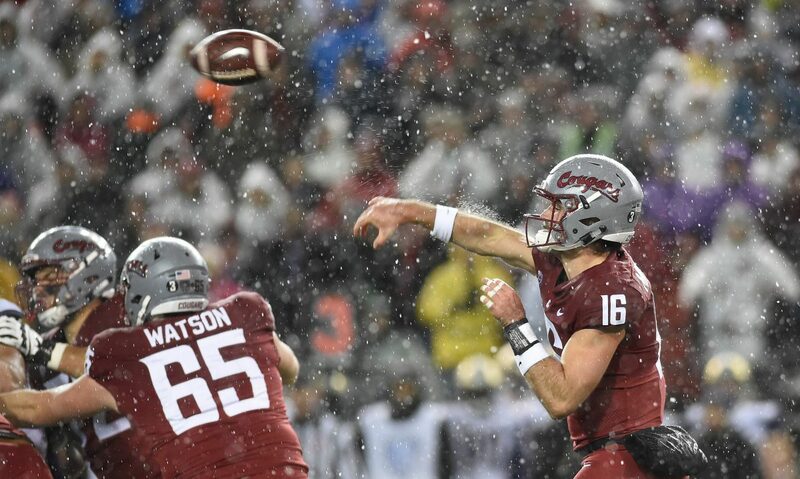 The Cougars have had at least nine different players catch a pass in every game they have played, including a game against Eastern Washington that saw Minshew find 12 targets. The team also owns six players with 30 or more receptions this season – the most of any team in the country. Washington State took down a Utah team that surged later in the season and is now ranked No. 17 in the College Football Playoff poll in September. They did it without accumulating a single rushing yard. The stat is a little misleading because sacks are still counted in college football as negative yardage, but Minshew was able to complete 31 passes to 10 different receivers to lead Washington State to the win. 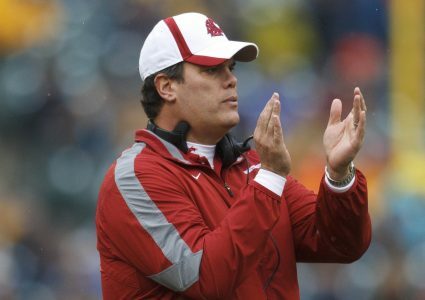 Washington State head coach Mike Leach has had six players go on to coach at D-I schools after playing for him and some have been notably in news headlines recently. Two of the former players – Lincoln Riley and Josh Heupel – are now coaching perennial top 10 programs in Oklahoma and Central Florida, respectively. Not to mention, another player in Kliff Kingsbury just accepted the offensive coordinator job at USC. Mike Leach has taken on the Cyclones four times in his coaching career over the past 17 years, all during his time at Texas Tech. 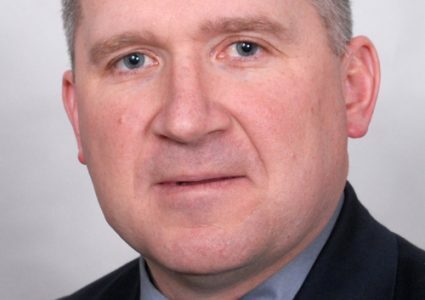 In his four meetings with the Cyclones, Leach has a 3-1 record. Leach’s 2002 Red Raiders lost to the Seneca Wallace-led Cyclones who were ranked has high as ninth in the nation at one point, 31-17 in Ames. It was during that game where the famous “Run” occurred. Texas Tech beat Iowa State in the ensuing 2003 season and once more in Dan McCarney’s last year at ISU. Leach’s final appearance vs. Iowa State resulted in a 42-17 win over Gene Chizik’s squad in 2007.